Salt Spring Island encourages one to savour the natural world. The Islands Trust is the form of governance on all the Gulf Islands. 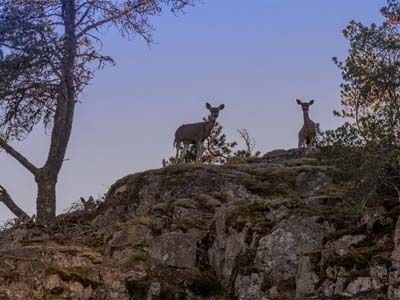 A provincial government body, created in 1974, to "preserve and protect" the environmental beauties of the Gulf Islands, for the benefit of all B.C. residents, this Trust has protected the Gulf Islands from over-development. Growth is strictly controlled by severe zoning restrictions/non-growth oriented bylaws. There is an overall Trust mandate plus specific outcomes for individual islands. The Official Community Plan on Salt Spring spells out the many rules governing this particular Island. A recent (September 9, 2017) referendum on incorporation, on Salt Spring, saw 63% of Islanders voting to maintain the status quo...no change to the form of governance, set in place in 1974. The Trust (& two elected trustees, per island, elected at the civic election time) would have remained if incorporation had been approved. However, the planners, appointed not elected, would have been replaced by an elected local council. Those voting "no" to incorporation may have thought the Trust was being disbanded. It was not. The Trust mandate applies to all the Gulf Islands. It's interesting to think about an area frozen in time to 1974 ethics and concerns. Is this time tunnel aspect one of Salt Spring's charms? Many things need addressed (garbage pick-up in the Village, sidewalks to accommodate wheelchairs, a laundromat, signage to delineate areas & replace gaggles of competing & mostly faded sandwich boards, completion of the SeaWalk (the boardwalk has been left unfinished for almost 30 years), lack of parking, traffic calming measures that work, a solution to the water moratorium that prohibits construction of approved affordable housing projects...a growing list of things needing addressed). Salt Spring encourages the arts...it is an authentic artists community. It encourages sustainable farming enterprises and alternative health options. It is a preserve of the natural world. As we move into the "real 21st century", with artificial intelligence, robotics, smart homes, smart devices, driverless cars, 3-D printers, crypto currencies, online shopping...and the fact that what is accepted as knowledge right this minute will be replaced within 18 months...what does Salt Spring offer? Hmmm...in this seasonal economic region, driven by tourism, perhaps we should embrace the time tunnel of 1974? It's not virtual or meshed reality...it's how things were. Is that the gift the island can offer to a visitor? Memory? Post © 2019 Li Read, Caring expertise...knowledge for you! (Sea to Sky Premier Properties (Salt Spring)). Design © 2019 ActiveRain, Inc. All rights reserved, Inc.